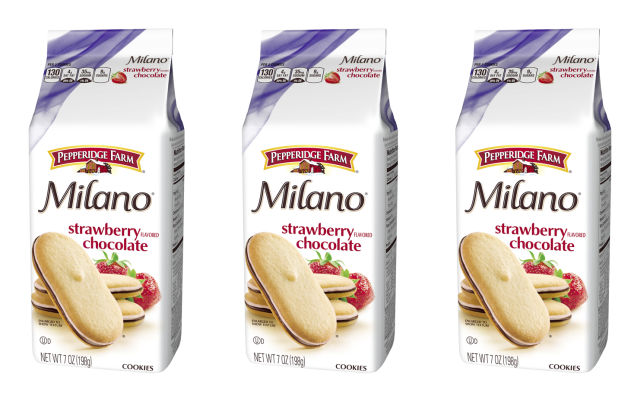 Pepperidge Farm introduces new Strawberry Chocolate as the latest flavor for their line of Milano cookie sandwiches. 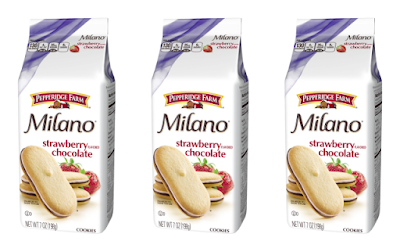 The new permanent flavor is available nationwide and features a layer of dark chocolate and notes of strawberry between two crispy cookies. The suggested price is $3.69 per 7-oz package.